The MaxiMist™ Evolution TNT/Pro is the perfect unit for the mobile tech or salon that demands performance and unsurpassed dependability. The MaxiMist™ Evolution TNT/Pro features a powerful 570 watt 2 Stage Turbine motor, paired with our amazing MaxiMist Pro Series Spray Gun Package. Making this the Evolution Pro! The MaxiMist™ Evolution unit at low speed, will spray 99% of all tanning solutions with flawless precision while running quieter and cooler than any other unit on the market in its class! Clean Air for your turbine motor is imperative to a long lasting unit. The MaxiMist™ Evolution features a unique air filter that is very easy to access and clean keeping your unit running at optimum performance levels. The MaxiMist™ Pro Series Spray Gun is extremely lightweight compared to other Pro type spray guns. The entire gun is made with Lightweight Air Craft Grade Aluminum providing many years of service with ease of care. Packaged with three extra cups with lids, for solution storage on the go. 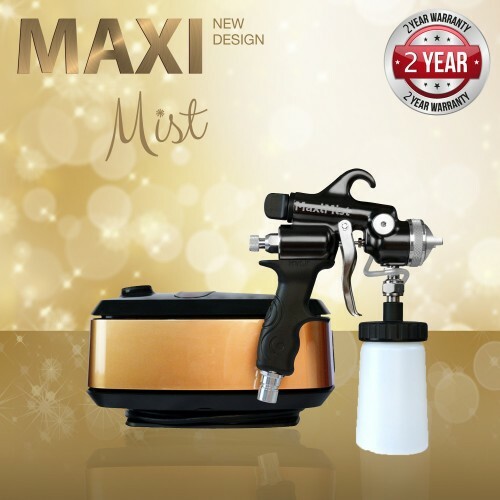 With a Cool Grip ergonomic handle the MaxiMist™ Pro Series Spray Gun is simply a pleasure to use. 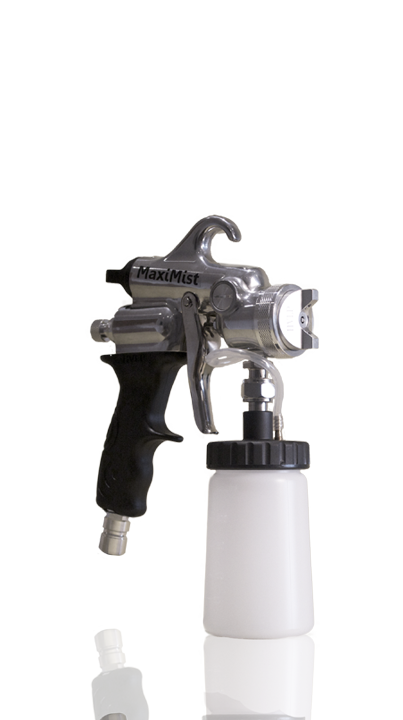 The MaxiMist™ Pro Series Spray Gun Package includes over $100.00 worth of extras, FREE. Everything you need to maintain your gun for years of service.